Jordan Plevnes is founder and Rector of first private University for audiovisual arts in Macedonia, founded in 2007 year. SEE a Paris - South East European Film Festival in Paris. 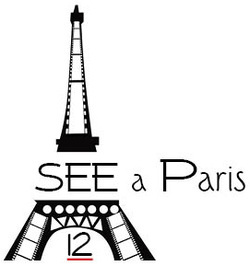 Jordan Plevnes is founder and President of the festival "SEE a Paris". 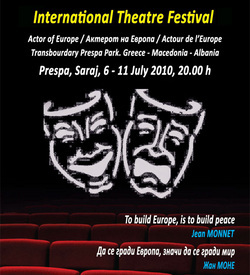 Jordan Plevnes i founder and president of the festival "Actor of Europe"
Each year between 06 to July 11, on the shores of Lake Prespa, for eight consecutive years it’s held the International Theatre Festival “Actor of Europe”. This festival established itself as one of the most important cultural events in the Prespa region and the Republic of Macedonia. On the festival their participation took one of the most important names of domestic, regional and international theater scene. Each year in the traditional spirit of cultural cooperation between Macedonia, Albania and Greece, opening of the festival is on the three languages that are spoken in the Prespa Lake, Macedonian, Albanian and Greek, which on symbolic way at least for a moment erase borders around the lake. The festival is held outdoors in the beautiful setting of a court of Sarai in Resen (House of Culture). Publishing works which illuminate the period of the middle Ages, related to the living saints of the collective Macedonian memory, the students of Ss. Cyril and Methodius, who, in 1980, were announced as patrons of Europe by the Pope John Paul II, further more St. Climent and St. Naum as founders of the Middle Age school of Humanism in Ohrid- “The Balkan Venice” or “The Slovene Jerusalem”, where the first University was established in this part of Europe. 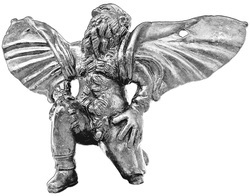 It passed on the glory of Lichnidos - The City of light all around the world. In 2000, The Ohrid Academy of Humanism begins with the bilingual edition “The Ohrid richness of Memory”, dedicated to the holiness of the Macedonian poetry and the Balkan literature of the 19th century. Every year in the House- Museum of Grigor Prlichev of Ohrid, visitors from different countries of the world have been presented so far: France, Belgium, Russia, Spain, Bulgaria, Albania, Canada. They hold speech for “The second Homer of the Balkan poetry”. In that way they develop the outstanding idea that “the beauty shall save the world”. In January 2007, when the Ohrid Academy of the Humanism together with the municipality of the city of Ohrid (just before the publishing of the work of the great Japanese Humanist, Daisaku Ikeda “The dialogue about the life” in the edition of “Macedonia Prima”), brought an official decision: each year in January to give a world award of Humanism. This will bring a new tradition about the presence of this mythical Macedonian city in the world’s horizon of harmonization in the philosophical, religious, political and artistic sense of our epoch. The first announced winner was the holder of the dialogue among the civilizations in the world, Daisaku Ikeda. This tradition continued in past 3 years too. In 2008 award was given to Manoel De Oliveira, in 2009 to Aleksandar Slozenicyn and last years this award was for Ravi Shankar in 2010 and Peter Brook in 2011.